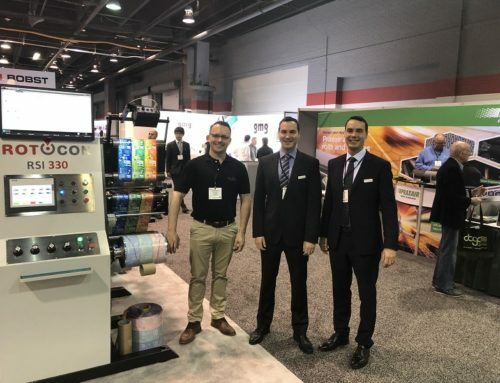 In Australia, Avonlea Labels, owned by ex-Capetonian Mike Ellis, is the latest in the growing number of customers for ROTOCON’s Ecoline finishing machines. 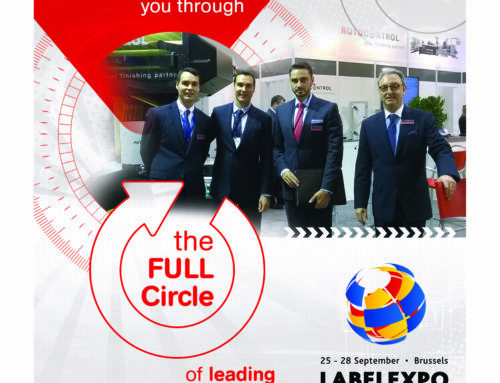 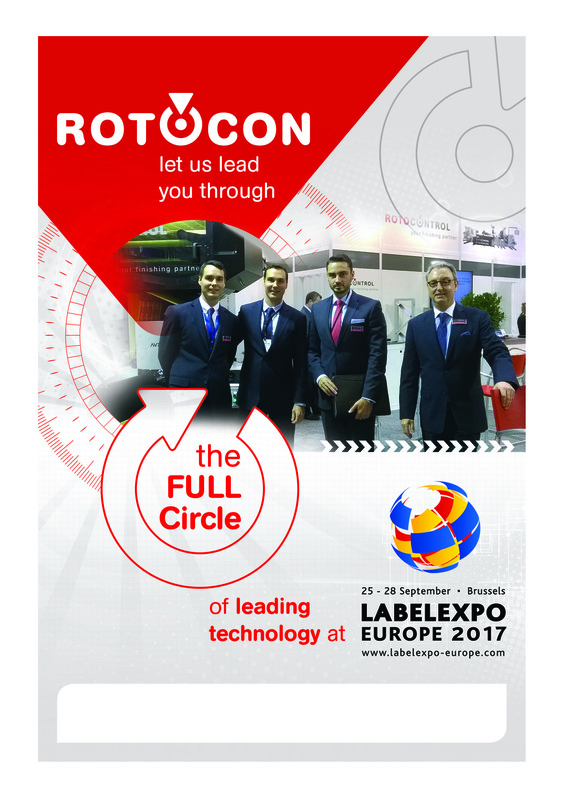 Another successful Labelexpo Europe was had in Brussels last month, with our partners keeping Michael, Pascal and Patrick busy in all halls! 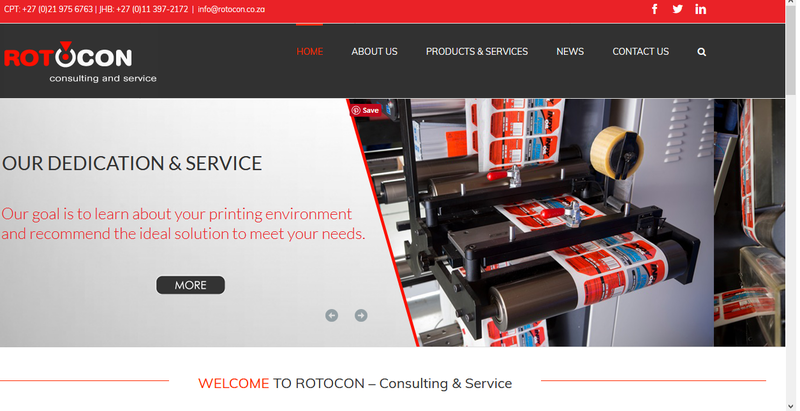 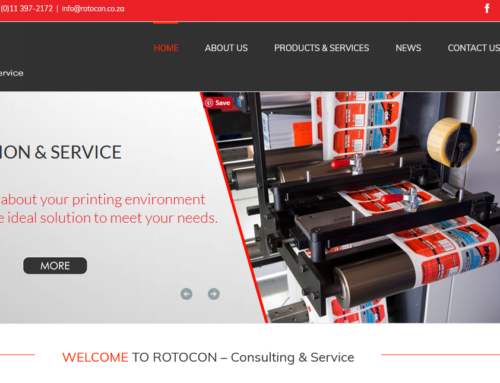 During the past year, ROTOCON’s Johannesburg facility has focused on establishing, expanding and improving its locally-manufactured solid rotary die, print cylinder, and accessory range for the narrow-web industry. 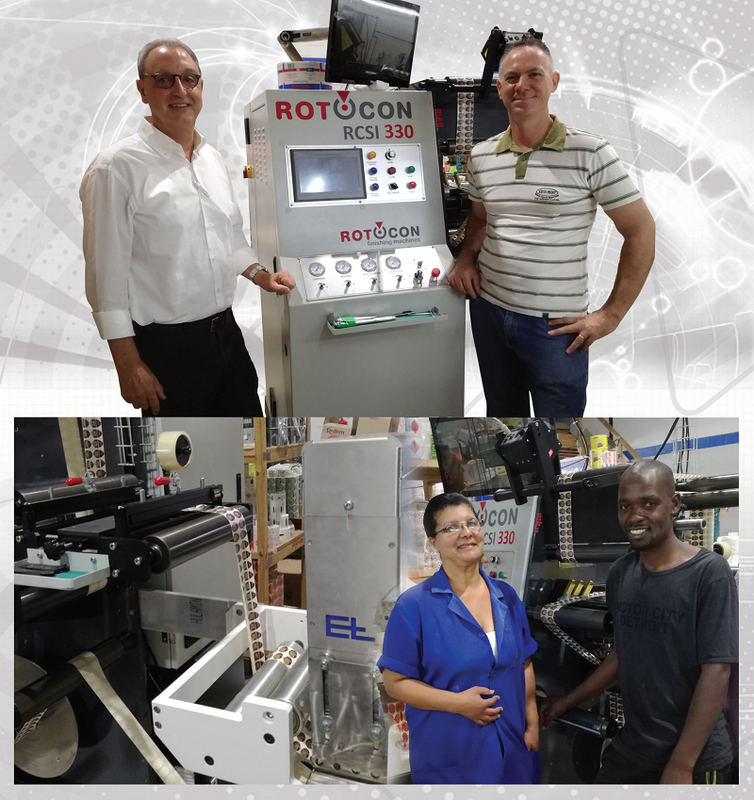 Savannah van den Berg, responsible for ROTOCON’s internal sales and ordering of flexible dies, recently completed a basics of die-cutting course at Wink’s head office in Germany where she learned how flexible dies are manufactured, etched and engraved; their tolerances and qualities; how substrates and coatings influence die choices; and the importance of tool accuracy – important variables that need quick assessment when customers place orders. 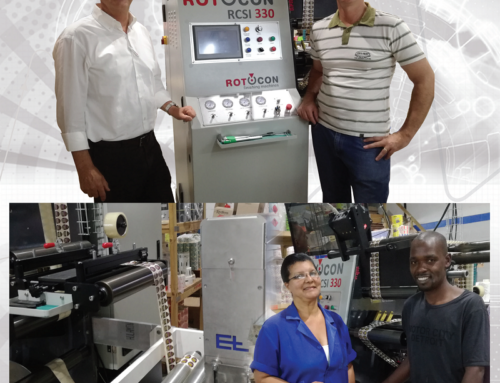 The latest investment at Future Labels is a ROTOCON RCSI 330 slitter-rewinder, complete with an E+L SmartScan inspection system.